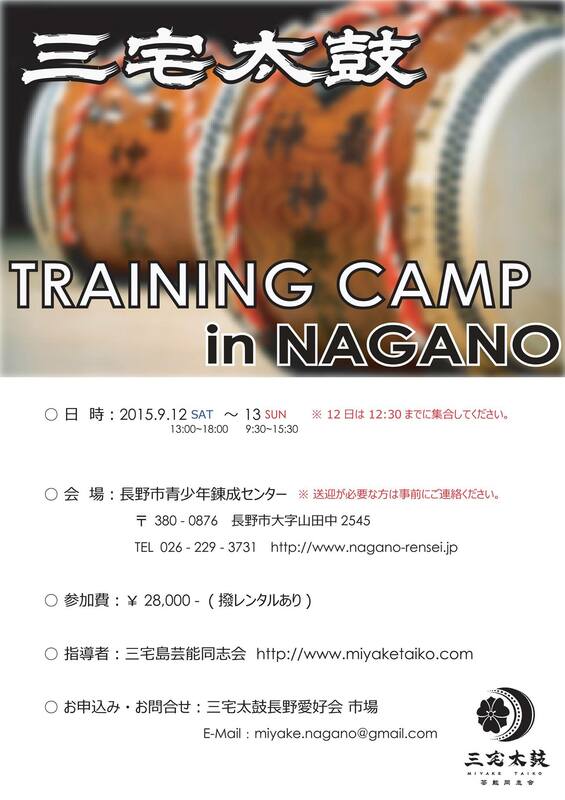 Miyake Taiko Training Camp in Nagano! No experience necessary! Receive intensive instruction from professional taiko teachers. A two day training camp will be held at Nagano City's Rensei Center on Saturday, September 11th and Sunday, September 12th. Pick up/carpool can be arranged. 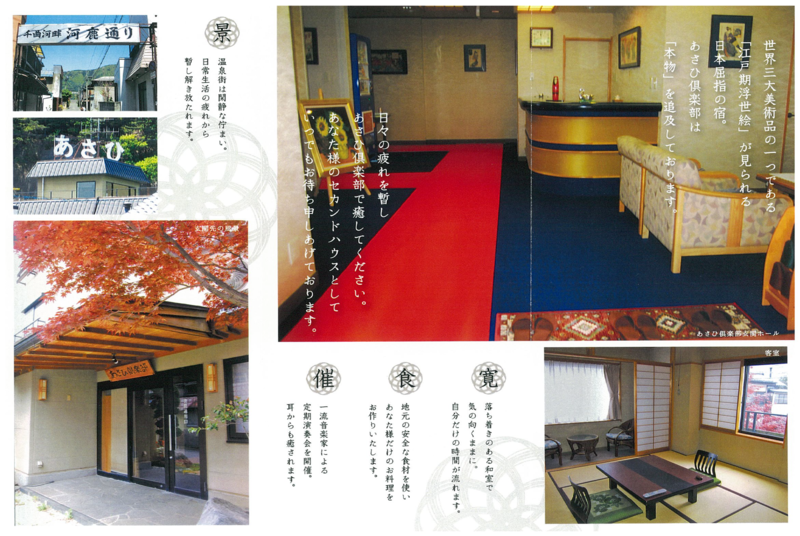 ￥28,000 fee includes overnight stay, meals, and two days of instruction as well as instructors transportation costs. Drum sticks are available for use at no additional cost. ※Typically, following completion of the training camp, the group has dinner together and visits a nearby onsen, but participation is not required. To register or for further information, please contact Mr. Ichiba at miyake.nagano@gmail.com. 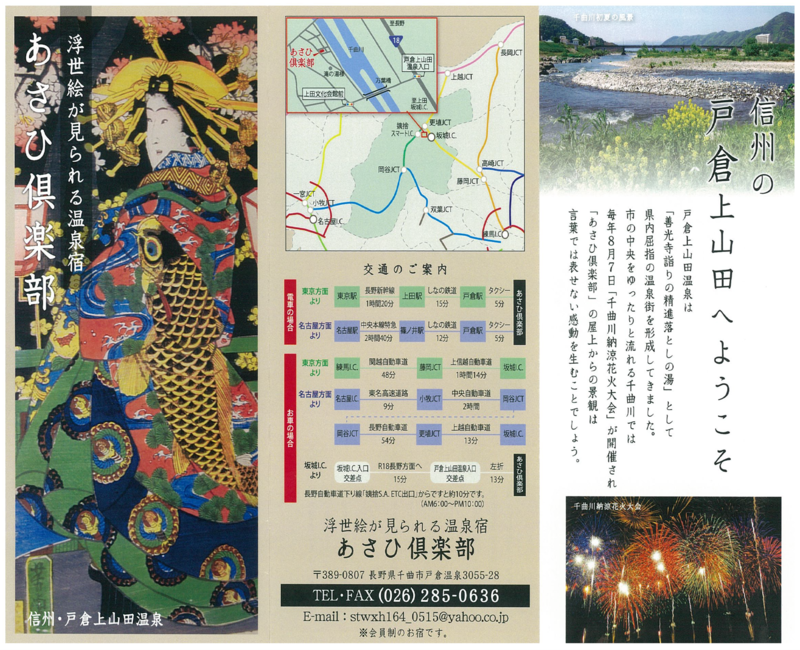 浮世絵が見られる温泉宿The Hot Springs Inn Featuring Traditional Japanese Paintings "Ukiyoe"
Located in Chikuma City, this traditional Japanese style hot springs inn also displays Japanese paintings "Ukiyoe". 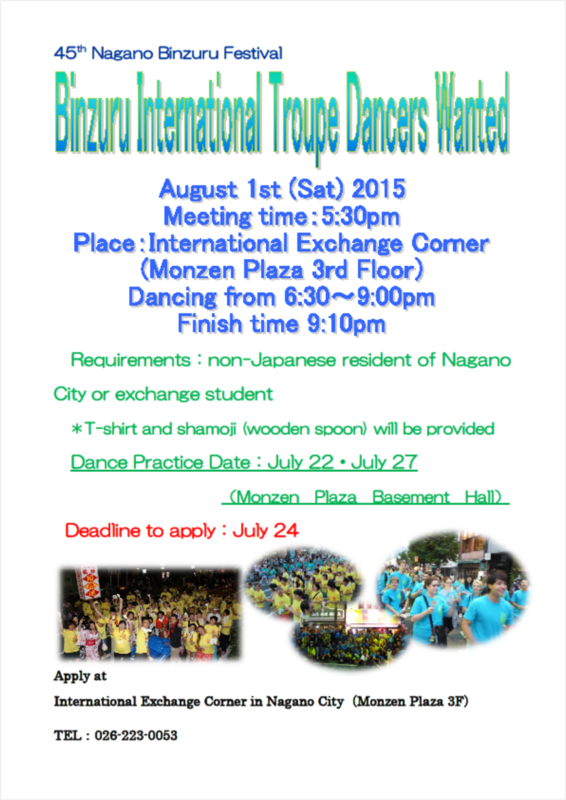 Nagano City's Dance Festival, Binzuru, is August 1st! If you are interested in joining in the festivities, you can sign up with the International Exchange Corner in Monzen Plaza. Sign up is free and you will receive a free t-shirt that you can take home afterwards! (Max 100 people) Please fill out the form at the bottom of the Japanese flier and submit it to the International Exchange Corner by fax, mail, or email at kokusai@monzen-plaza.com.